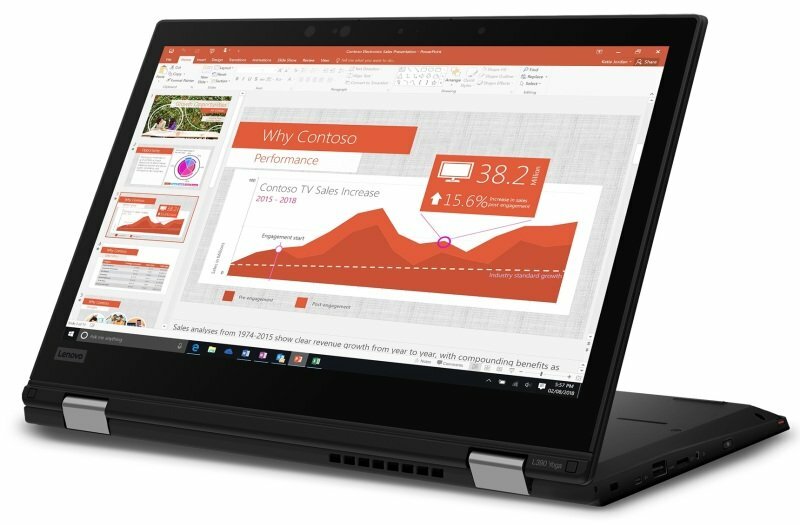 The ThinkPad L390 Yoga is business-ready right out of the box. Equipped with the latest processing, memory, and storage, this 13.3" 2-in-1 has an impressive 12-hour battery life. It's secure and durable, and you can configure it your way-with optional features such as touchscreen, backlit keyboard, and fingerprint reader. From laptop to tablet and tent to stand, the L390 Yoga display is as flexible as you want it to be. As a result, everything from filling in spreadsheets and jotting down ideas to bedtime reading is as easy as turning a page.